→ How To Create A Well Built Foundation For New Units: Get Your Tools Lined Up! 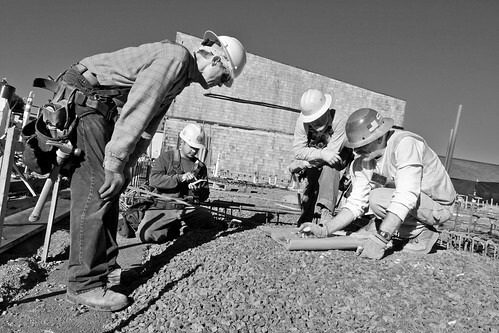 How To Create A Well Built Foundation For New Units: Get Your Tools Lined Up! Last week, #langchat-ters joined in from all over the US to discuss their thoughts on the best way to go about laying a foundation for a new unit in the world language classroom, and how to best do it well. Participants chatted on the essential elements that are needed to build a new unit, and shared their thoughts on ways to help students interact with the new vocabulary. Chatters also discussed ways to effectively introduce cultural aspects to a new unit, and then concluded the chat hour by sharing thoughts on how to choose what comprehensible input will anchor the new content and make it work well. Thank you Laura (@SraSpanglish) and Colleen (@CoLeeSensei) for spearheading the Thursday night chat this week, as well as John (@CadenaSensei) for bringing us the SaturdaySequel. And thanks to all you dedicated #langchat fans (old and new alike) who joined in for either super instructive hour of #langchat! Question 1: What elements do you consider essential to any unit you design? Langchatters had a plethora of elements to share that each contributor felt was essential for any and every unit. One common theme running throughout the suggestions was “purpose” and making sure that everything you do is purposeful, with a reason behind it and a goal that it is helping your students work towards, not just busy work. @ADiazMora summed this collective thought up when she said, “There has to be purpose. I think @tmsaue1 just said today that if u don’t know why u r doing something, then something is wrong.” Similarly, many chatters agreed that the unit focus has to be about actual content that students will want to learn, not just the language you want them to acquire. Essential element suggestions ranged from well-know lesson planning tools such as Can-Do’s, PBL, authentic resources, target language activities, performance-based assessments, TPRS, a good hook activity such as video/infograhic/song, IPA, and many more. A popular thought was to establish your end of theme goals/essential outcomes that you want students to reach, and then go about planning the steps/content that you need in order to help them get there. Question 2: How do you help students interact with the new vocabulary they’ll need to succeed? Teaching vocabulary is one of the most essential tools for building students use of the target language, and yet it can be one of the most difficult to do without being boring. Question 3: How do you introduce the culture aspects of the unit? Overall, langchatters agreed that cultural aspects are hugely important to the success of teaching a new unit. Students need to have that context to understand the new material, and it helps them connect to it on a more personal level. A bulk of the ideas for incorporating culture into a new unit revolved around beginning with it to peak student’s interest in the new topic. Suggestions for ways to do that included embedding it in the unit from the get go and beginning with a choice of authentic resources that are both rich in the target vocabulary as well as cultural details. @BethanyEasom2 suggested the use of, “…a hook, something unique and exciting from the culture. A native dance, food, song or personal experiences.” and lots of participants loved that idea. Other submissions included using authentic resources regularly, utilizing drama, showing pictures, reading novels/books, having “food” days, and incorporating field trips whenever possible to relevant places in your community. Question 4: How do you decide what comprehensible input will anchor the new content in a new unit? Participants’ thoughts on comprehensible input varied according to grade and proficiency level. Some felt that it’s easy to incorporate with lower levels but more difficult with more advanced students, and other’s felt that it really depends on each class as to what/how much comprehensible input is needed to anchor the new content. Many participants chimed in with ideas centering around making sure that you provide hint, hooks, cultural pieces, and plenty of authentic resources to help students understand and connect to the comprehensible input, and in turn, the new unit. Plus, if you make an effort to activate student’s prior knowledge through content-based instruction using authentic materials with graphics or movie clips, you’ve got a much better chance of the new information sticking long term! Last week, Langchatters had a fast-paced chat about how to lay a foundation for a new unit, and how to do it well. Participants’ takeaways included wanting to make culture units appropriate for language level and what interests your specific students, the need to curate lessons and utilize CI whenever possible, and @CatherineKU72 summed up the overall feeling of this chat when she said, “It is exciting & inspiring to see teachers try new ideas (stations, flipped lessons, #authres, etc.) to best meet student needs.” And our takeaway is we hope that this (and every chat) inspires you to do just that! Try new ideas, and branch out of your comfort zone to make sure your students are getting the best world language experience you can give them. Thank you to everyone who joined in #langchat and shared their ideas for designing new units and making them effective in the world language classroom. We hope that you continue to join #langchat whenever you are able – if the regular chat time on Thursdays at 8 p.m. ET doesn’t work for you, try joining the #SaturdaySequel, every Saturday at 10 a.m. ET instead!